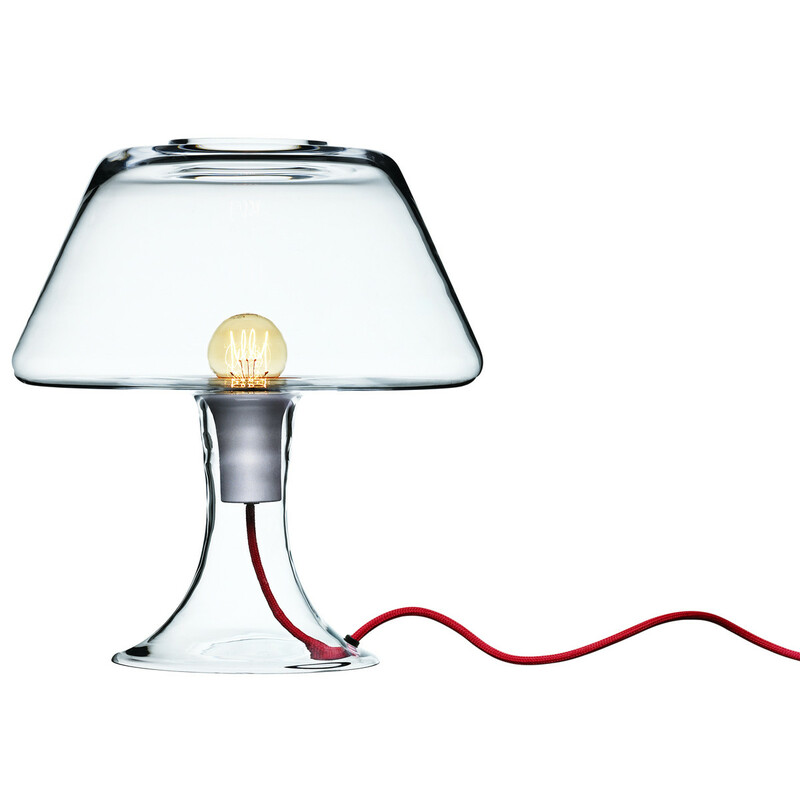 The Classic One glass table lamp was designed by Maria Berntsen for Holmegaard in Denmark. This lamp has become an instant classic table lamp with its distinctive and highly refined transparent glass features. Very simple, but stylish and genius. It is made from a single piece of handblown glass! This beautiful masterpiece of light will perfectly fit any interior. Established in 1825, Holmegaard is famous for its high standards in tableware glass. Perfect for both small residential and large scale commercial projects. Maria Berntsen created a minimalist and future oriented lamp out of glass with One, whose shaping mirrors the essential forms of a lamp. 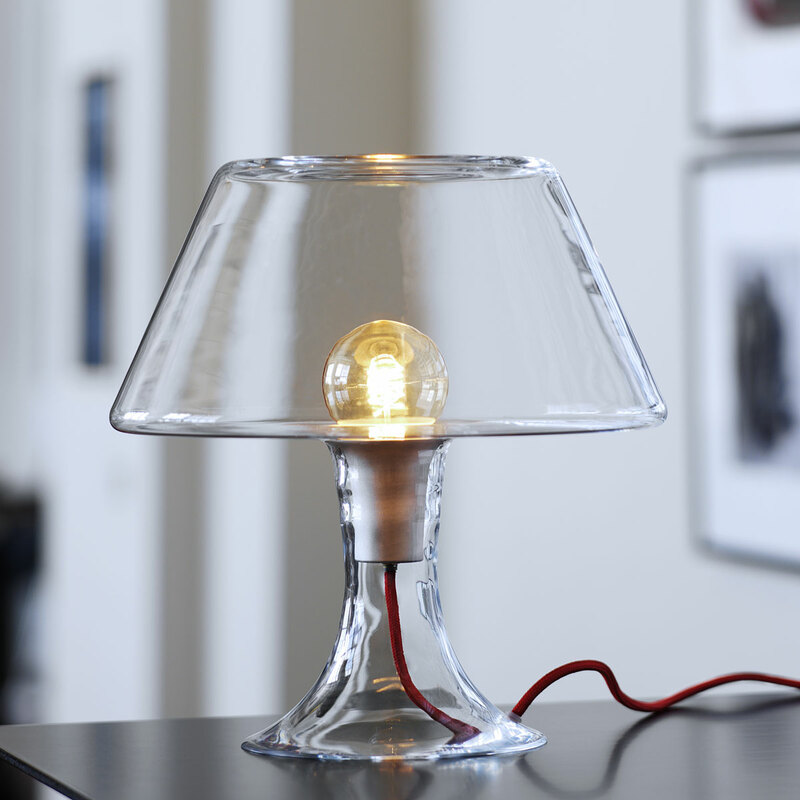 The One Table Lamp is manufactured by the Danish company Holmegaard and is opened at its top. In the opal-coloured version the illuminant is hidden by the upper part of the lamp. The clear-glass variant however, offers deep, open views into its inside and shows the bulb as well as the socket with its cable.